Think about how much time you spend on Youtube and be honest about it. It’s a lot, isn’t it? Needless to say, videos are what keeps us on that site for hours and hours – filling our day-to-day schedules. That’s not only it, first it was only YouTube with videos but now, even Instagram and Facebook have their own version of videos and it’s keeping our eyes glued to the screen. So what is up with that? Before diving deeper, let’s get back to basics. Yes, that’s what it’s about but it’s not all it is. We all know that creating an emotional connection is the only way to go if you want a long-term result. Videos gain an upper hand in this and has to be one of the most powerful tools. Additionally, when used and created properly, videos can be incredibly effective in delivering a message. Why? because videos can be used to tell stories and as we all know: Storytelling is powerful. 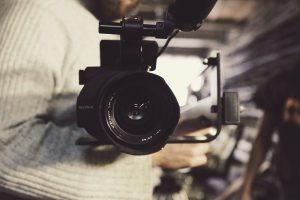 What are some aims of video marketing? People are not buying/engaging with your brand. Why? Well, have you ever thought that maybe it’s because they are not even aware that your brand existed in the first place? You can build awareness for your brand by using short creative shots and clips that can make people laugh or even cry. You can even tempt people to share these messages if they were powerful enough. This will spread awareness and will help attract people to take a look at what previously was a mystery to them: it increases your chance in turning your audience to lifelong consumers. In using videos, you can solve your customers worry about buying your product by giving them a how-to video. This type of educational and informative video eases customer’s decision when choosing the product. How? Say there were two products that look as appealing as the other but the customer is new to these types of products. Having never used it before, he/she is feeling anxious that he/she might not be able to use it. This is where your video comes into action and yours will win all the way! Videos are an essential tool for building trust. Have you heard of customer testimonials before? Yes, it’s one that people always turn to when having doubts about the product they’re about to buy. There are so many competitors out there that people worry about their choices. It’ll be such a shame to lose out on customers just because they have lack of sense of trust. This is why we urge you to utilize videos to deliver these needs. With so many pros in video marketing, there’s no reason to turn your back on them anymore!